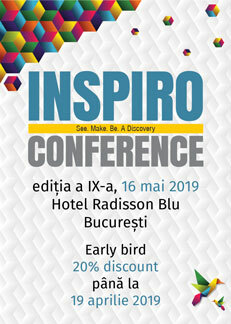 Inspiro is an event about leadership, people, values ​​and motivations. It’s content is focused on people behind the job and their experiences. 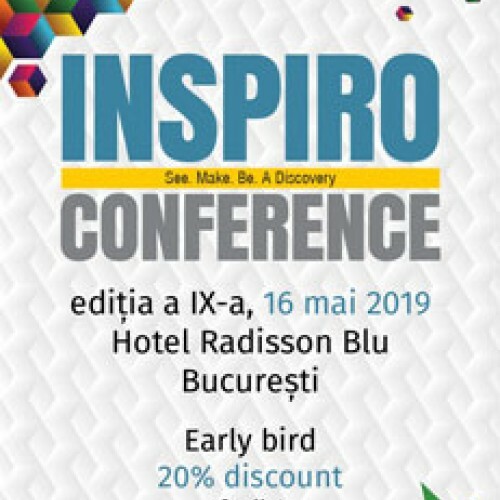 Inspiro brings together leaders in the consumer goods industry and opinion leadersin related fields and addresses to people who want to leave their mark on the job, colleagues and thesociety in which they live, to those who care, want to grow and be inspired. Early Bird Discount 20% for registration and payment before April 19, 2019. Details about attendees are mandatory in order to complete the order. Taste Ambassadors is an expo-show for the food & drink industry in Romania powered by b2b magazines Trends HRB, Progresiv. Exhibitors will be the ingredients suppliers for the hospitalit..